Our Ripplefold is a Pre Strung Slider, Clear Tape and Gathering Hook System. The track sliders are strung together at 50mm interval. 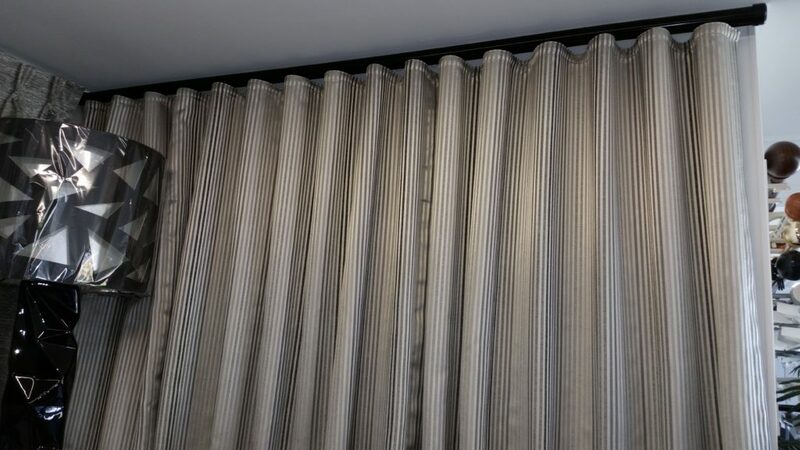 This allows the curtain when attached, to form the Wave or S-Fold look. Using our Clear Tape with Gathering hooks, spaced at 100mm, this gives a perfect 100% fullness with Elegantly formed folds. Available for most Kingtrack Tracking Systems.